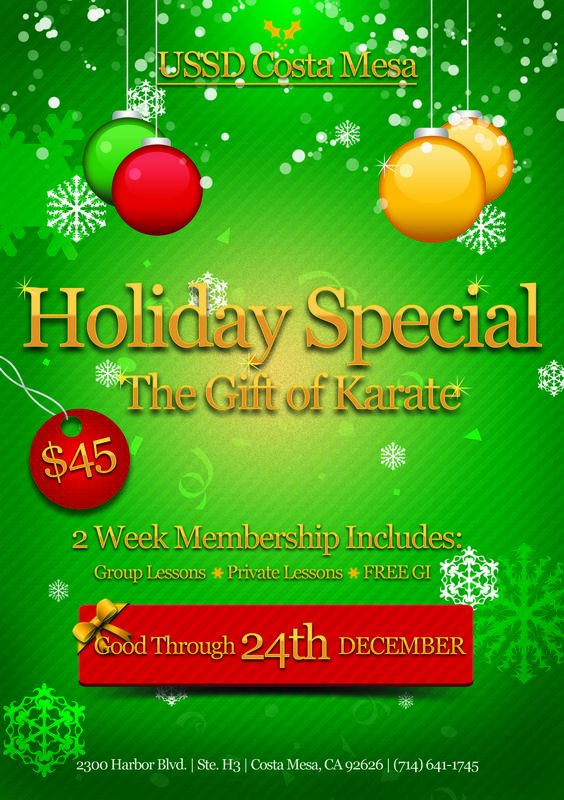 THIS YEAR GIVE THE GIFT OF KARATE WITH OUR HOLIDAY SPECIAL! ALL this for only $45.00! If you have any questions would like more information, or would like to sign up please call us at (714) 641-1745 or Email Us!